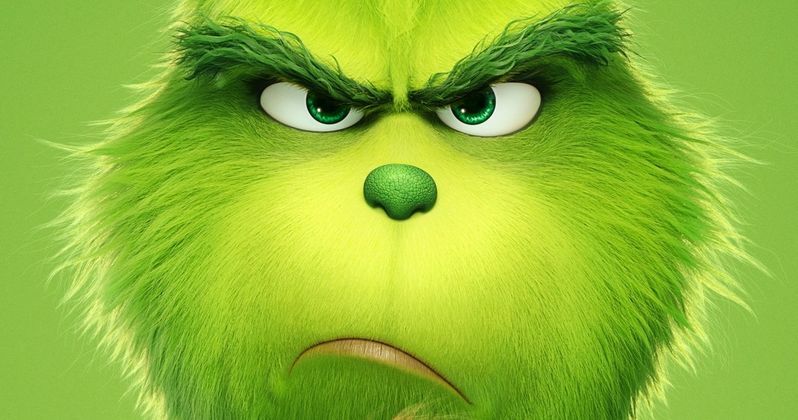 The new one-sheet for The Grinch has just debuted online. And while that's reason enough to celebrate, it is here only to announce the bigger news. Universal is finally going to drop the first full-length trailer from this long-awaited animated remake of their Christmas hit, which will fall into theaters just in time for the holidays at the end of this year. Oh, joy! Meanwhile, down in Who-ville, Cindy-Lou Who-a young girl overflowing with holiday cheer-plots with her gang of friends to trap Santa Claus as he makes his Christmas Eve rounds so that she can thank him for help for her overworked single mother. As Christmas approaches, however, her good-natured scheme threatens to collide with the Grinch's more nefarious one. Will Cindy-Lou achieve her goal of finally meeting Santa Claus? Will the Grinch succeed in silencing the Whos' holiday cheer once and for all? Find out, Christmas season 2018. So far, Universal has been pretty sparse with delivering gifts of any kind from The Grinch. During the Winter Olympics, we did get to see a teaser trailer that put The Grinch on ice, quite literally. As he hit the rink for a little skating in his signature grumpy style. And a teaser poster promised that we'd get to see a younger Grinch origin story, which was already explored in the live-action Jim Carrey classic. While we wait to unwrap our big trailer gift tomorrow, you can check out the poster here thanks to Universal Pictures. There's sure to be even more fun surprises as we gear up for the movie to make its long-awaited debut in theaters.